The home of the first official Cricket Stadium built in the USA at Central Broward Regional Park in Lauderhill, Florida, was buzzing with the beauties of sport on October 8. 9 & 10. 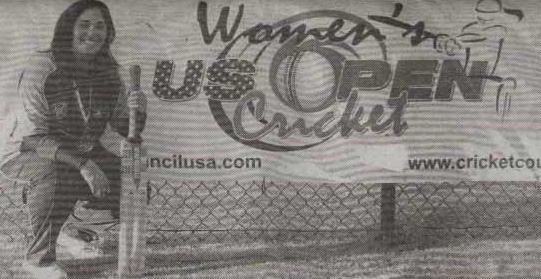 2010 as Sixty of America’s top lady cricketers traded their heels, perfume and polish for helmets, bats and gloves to kick-off the first inaugural history-making U.S. Women’s Cricket Open Championship. This was an honor for the players, coaches and managers who will be bragging about the prime event for generations! 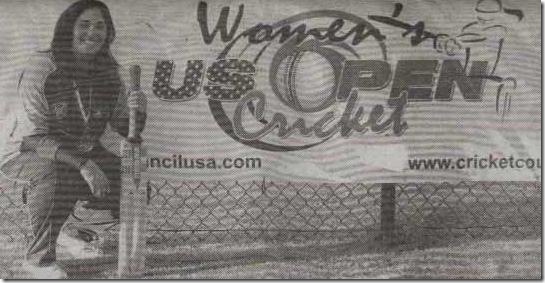 At these games, USA’s four best competing women’s cricket teams represented a true cross section of the USA cricket world- Two teams came in from California, and the other two, including the team Delkash is part of, the New York Warriors, flew in from the Northeast to compete for the honor of hoisting the US. Open Championship Trophy International players from Canada. Australia, the West Indies and South Africa were also participating. Out of the cradle of cricket at the Philadelphia Cricket Club in 1887, the USA’s first women’s sports champion prevailed; now 123 years later, an American Women’s Cricket Champion team was crowned at this event. The New York Warriors secured Runner-up position at this event American sports history was made when the honorary pink commemorative balls; (October is Breast Cancer awareness month) were bowled out at the Stadium by Commissioner Margaret Bates of Lauderhill, Florida, who has pioneered the development of learning centers through sports like cricket honored this special event. Delkash is currently the only Indian player amongst the East coast teams and the only Zoroastrian to play at a US National level sporting event She was selected during the trials in May 2010 to play at this prestigious national event for Ihe New York Warriors team. She has been an important and vital contributor to the New York team which includes players from team USA and West Indies. As a specialty batswoman her strength has been in making quick runs with big hits required for this T 20 tournament and with her athletic skills. 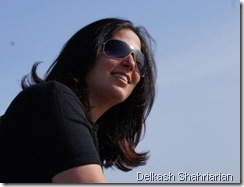 Delkash made significant catches and fielded numerous boundary hits. 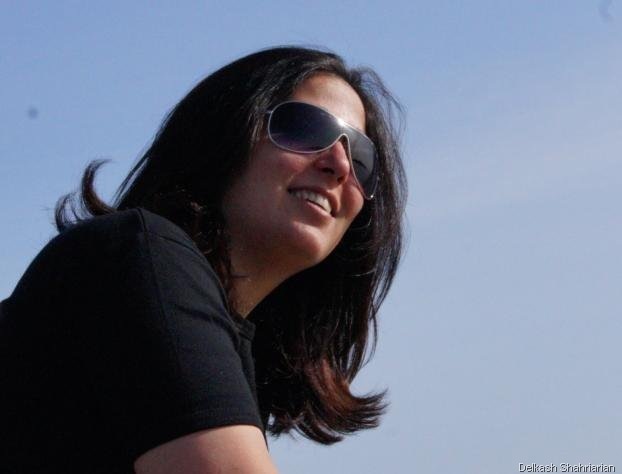 Her tryst with cricket formally started as the captain of the Sir Ness Wadia Club, Rustom Baug women’s cricket team. She was successfully able to lead her team to victory at the 2004-2005 All-Parsis Women’s Tournament for two successive years, over strong teams like Godrej Baug and Dadar Parsi Colony. With the absence of the Zoroastrian community’s presence in the field of national level US cricket, and in a sport dominated by men. Delkash has worked hard to earn a position in the New York Warriors team to provide exposure and make our Zoroastrian community more renowned in the USA. With the recent opening of the Rustomjee Builders sponsored cricket nursery in Rustom Baug, she hopes that one day our community will have representation at thp national and international level Delkash is regularly training to Improve her cricket skills and is looking to find sponsor’s to assist her with professional training. Delkash has achieved comparable recognition off the field. She earned her Bachelors degree In Architecture from Rachna Sansad’s Academy of Architecture with First Class Honors and is a Post Graduate Architect from the prestigious Pratt Institute in New York. She was awarded "Best Student of the Year* 2005 by Pidilite Industries and nominated by Practirins Engineers Architects and Town Planners Association (PEATA) from Academy of Architecture. She is currently working as an Architect in New York and is a very talented upcoming Zoroastrian. Constantly striving to make her family and community proud, Delkash hopes to continue excelling in every endeavor she undertakes and to be a role model for all the younger women who dare to dream!